Due to the enormous size of the pharmaceutical industry and the amount of capital invested in new medicines, drugs are often hastily put on the market without going through the proper tests that must be submitted, resulting in severe injury or death. When there is personal injury due to pharmaceutical drugs, whether prescription or nonprescription, you may be entitled to financial compensation for the damages incurred. Prescription drugs sold in the U.S. must be approved by the Food and Drugs Administration (FDA), and unfortunately, the FDA often tests drugs improperly before the products are released to the public. Sometimes the warning labels of medicines contain inadequate or misleading information, which causes patients to abuse drugs. Patients take prescription drugs on the recommendation of their doctors, trusting their health and well-being with pharmaceutical companies and their products. Unfortunately, injuries caused by defective pharmaceutical drugs are all too common. Unfortunately, some of these medications don’t improve our quality of life and may cause serious injury or wrongful death. The Food and Drug Administration is responsible for regulating and approving all prescription drugs. It is an agency within the U.S. Health Department in charge of protecting the public health by securing human drugs, medical devices, food supplies and other products. Medical manufactures often put some pressure on the FDA to expedite their products, which can result in some drugs not being appropriately analyzed. There is not an understanding of the drug’s side effect and interactions with other medications. So patients may continue suffering severe injury or death. Even so, medical healthcare professionals and manufacturers might be liable for prescribing drugs that are not safe. Regardless of the extent of the pharmaceutical malpractice, you may be entitled to compensation. Even in an insignificant form, pharmaceutical injury can lead to costly medical bills, lost income, and other physical, psychological, and financial loses. Responsible parties, such as the medical provider, the pharmacist, and the manufacturer should be accountable for these loses. The Drug-maker (manufacturer): When the appropriate research and drug tests are not performed, or if the company tries to hide the dangerous side effects of the drug. In this case, a claim of defective products would stand. The Pharmacist: If a medicine recipe is issued with the wrong medication or dose, which will result in a medical malpractice claim. The Doctor: If a doctor prescribes a drug to a patient that others in the profession would not, negligence can be the basis for a medical malpractice claim. Pharmaceutical injury lawyers working in medical malpractice cases due to pharmaceutical injury play a vital role for many people who are victims of negligence committed by the major pharmaceutical companies in Miami. Personal injury attorneys have the necessary resources to prosecute pharmaceutical injury disputes with the individual attention and respect the clients deserve. Pharmaceutical malpractice cases are often linked to personal injury and wrongful death claims of people who experienced unwanted secondary effects or an unfavorable drug reaction while using prescription medication. It is crucial to work from the beginning with medical malpractice case attorneys because they know Florida laws and can guide you through the process in the shortest possible time. After that, you will be fairly compensated for the financial losses since recovering from medical malpractice injury can be costly due to the new medical expenses you must face. Medical malpractice cases can become a complicated legal process that requires special attention from lawyers, who can help you dispute your claim successfully. 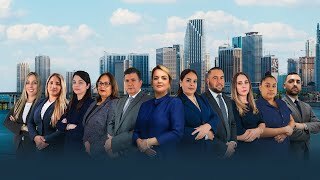 Gallardo Law Firm and Gallardo Attorneys have been defending the rights of clients who have chosen to represent them in cases of medical negligence on pharmaceutical injury in Miami, Florida. They will deliver compelling strategies geared toward achieving the best resolution for your case. Our attorneys are highly qualified and have extensive knowledge in various types of medical malpractice cases. Medical malpractice turns out to be a process which can be painful and overwhelming for many people. At Gallardo, we will handle all types of pharmaceutical errors, either the fault of the doctor, pharmacist or drug manufacturer and will find the answers to your particular case. We take time to understand how your injuries have affected your health and your life. A medical malpractice incident can be devastating for the injured and the whole family, mainly because healthcare professionals are to be trustworthy and are expected to provide a high quality of care. Our lawyers will be able to use every legal resource to prove your case and help you in recuperating from the losses in connection to the medical negligence or pharmaceutical injury. Gallardo Lawyers are committed to holding negligent healthcare professionals accountable for their actions. Contact Gallardo Law Firm today, for a confidential consultation. What is pharmaceutical malpractice or negligence? Pharmaceutical malpractice means that a pharmacist dispenses a wrong medication, or wrong dosage, with no specifications for interactions with other drugs resulting in injury or death to a consumer. That could happen because the drug was not tested or analyzed correctly or the manufacturer did not provide the physician that prescribed the drugs with the appropriate warnings for the patients who consumed them. Do I have a pharmaceutical negligence case if my prescription was issued incorrectly and I became sick? You might have a case if the prescription was filled incorrectly, or the pharmacist gives the incorrect medication or dose. In such cases, the pharmacist or the doctor will be liable. If the medication causes illnesses or severe side effects, then the drug manufacturer is held accountable. What are some of the causes of pharmaceutical negligence? In a hurry to get products to market, pharmaceutical companies do not use the necessary time for a medicine trial. They may not publish specific side effects because they did not analyze the medication accurately or researchers failed to disclose essential findings that arise after products are already on the market. What are important facts I should know when buying over-the-counter medications? You should read the labels carefully because they might consist of elements you should not take. You also need to be careful in case you are already taking other drugs that may interact with the new medication. You might also have an allergic reaction if this is the first time you try the medication, or it is not the correct one for your symptoms. You can always ask the pharmacist for help. Can I file a claim even if I have been taking a medication that was not prescribed by a physician and resulted in injuries? You might still file a claim against the drug manufacturers since the doctor did not prescribe the medication. How defective drugs reach the market? While one of the duties of the Food and Drug Administration is protecting American consumers from defective drugs, the FDA often inadequately examined drugs before they reach the market. Though pharmaceutical companies must exhaustively test their drugs, sometimes they go without thoroughly researching the possible side effects of the drug, and rush off to the market, causing significant damage to their consumers. What are the most common dangerous drugs that have hit the market? As more pharmaceutical companies are trying to conceive wonder drugs to address even the most minimal health problems, the prevalence of dangerous drugs and pharmaceutical injuries tends to increase. Many FDA approved drugs can have harmful side effects so you should consult with your doctor first before taking them.